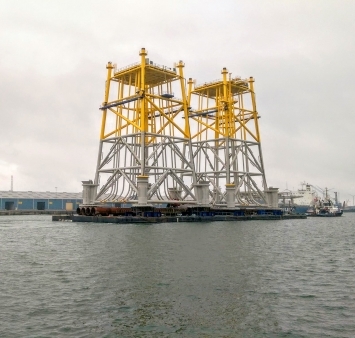 The two jackets that Iemants built on their yard in Vlissingen are on their way to their final destination in the Gemini Wind Park. Gemini is located at the Dutch coast, 85 km off the coast of Groningen. The park will be one of the biggest wind parks worldwide.